The ViewSonic LightStream™ PJD6352LS networkable short throw projector features 3,500 lumens, native XGA 1024x768 resolution, an intuitive, user-friendly design and a sleek white chassis. Exclusive SuperColor™ 6-Segment Color Wheel maximizes color saturation and brightness for true-to-life image projection in any light, while SonicExpert™, ViewSonic’s proprietary sound enhancement technology, powers a 10W speaker to deliver incredibly clear and audible sound. PortAll - a neatly designed enclosed HDMI/MHL connection compartment, supports streaming media from wireless HDMI dongles or MHL connectors, while a cable management hood connects onto the back of the projector and eliminates unsightly cable clutter. A 0.61 short throw lens offers large projection image for smaller rooms. With HV keystone, corner adjustment, and easy network management, the PJD6352LS provides flexible setup. Designed with smarter features and extensive connectivity, the networkable short throw PJD6352LS is ideal for use in education and corporate environments. Administrators can sit in front of PC and maintain up to 256 LightStream projectors remotely through RS232, USB, LAN IP or VGA/DVI/HDMI interfaces. 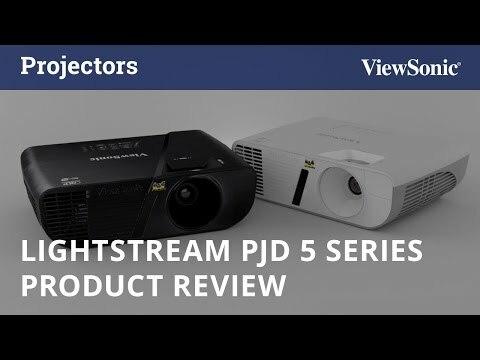 ViewSonic LightStream projector is equipped with a complete built-in network control system which includes Crestron RoomView® network management software, AMX certification and industry standard PJ-Link. Together, they offer network administrators an effortless centralized control of up to 256 projectors with an advanced, real-time alert system that sends status updates regarding power, lamp life and unit presence to simplify maintenance efforts. This network control software is an efficient and easy-to-maintain system that is ideally suited for educational institutes.